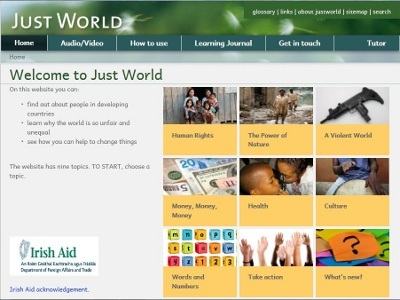 The Just World website was an interactive website which gave students the opportunity to explore topics relating to the developing world, while at the same time practising their literacy and other skills. This project was funded by the Development Education Unit of Irish Aid. The site site went live in February 2012 and was available until the end of September 2015.